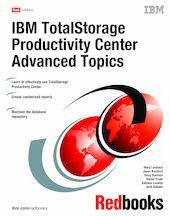 You have installed and performed the basic customization of IBM® TotalStorage® Productivity Center. You have successfully completed performance data collection and have generated reports. But how do you best use the TotalStorage Productivity Center to manage your storage infrastructure? This Redbooks publication is intended for storage administrators, who are responsible for the performance and growth of the IT storage infrastructure.